After a couple of days of visiting relatives in Teluk Intan and Ipoh, we went to Cameron Highlands – a plateau that was discovered in late 19th century by a man named Cameron sent to map out the region by the colonial government. The British started developing the region in the 1920s and the 1930s and it rapidly became both recreation and farming area. The colonial influence can still be felt in some ways – from English style houses to cream tea in the local tea places. 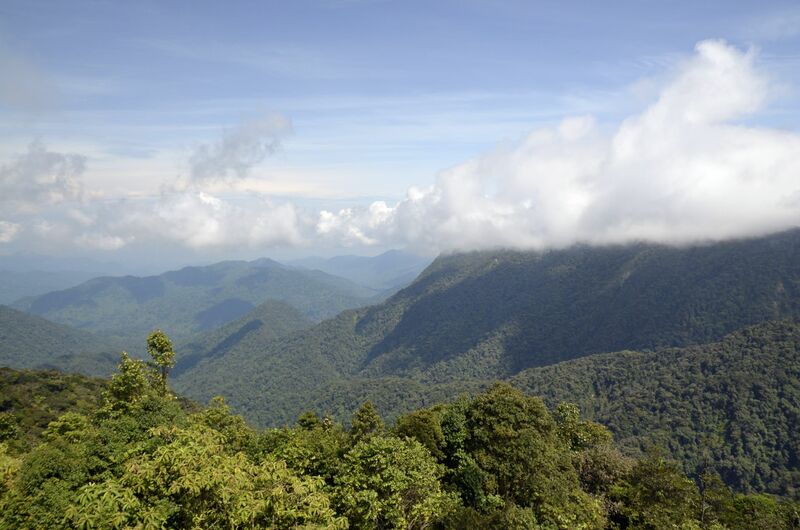 The climate up in the mountains is colder than in most other places of Malaysia (think: North European summer) and it allows for fruit and vegetables to be grown here that cannot be grown elsewhere in the country. The hillsides are covered with greenhouses everywhere you look: growing flowers, tomatoes, strawberries and much, much more. Many of the farms sell their produce on the roadside, tempting the drivers to stop for some fresh honey or veggies. We were approaching the Highlands as it was getting dark and the flower greenhouses were turning the lights on. Sadly we couldn’t stop on the dark, narrow roads to take photos of the light up greenhouses lining the hillsides. For dinner, we tried out one of the specialties of the Cameron Highlands: the steamboat. A special device (see below) is filled with charcoal on the middle to keep the bouillon boiling. You get a supply of many different types of meat, seafood, noodles, and vegetables and are free to make your own soup. In the morning we were picked up by an old friend of Daniel’s dad who took us around the Cameron Highlands in his 4-wheel drive. First stop of the day was a viewing tower on one of the highest points of the Highlands. From there we continued on to the Boh tea plantation cafe. The first tea bushes were planted here in the late 1920s – the founder of the Boh tea company brought in experienced workers from Sri Lanka to make the first plantations in the Cameron Highlands. Fields of tea wherever you look! After trying out some tea in the cafe (it was so good that we bought a big pack for taking home) it was time for even more photo-taking. The houses of the tea plantation workers & a man gathering tea leaves. The last stop of the day was the farm of our host: he grows mainly salads and tomatoes. We can affirm: really tasty indeed! The daily afternoon rain was starting to pour and it was time for us to leave. We’re pretty sure of one thing though: we’re coming back!